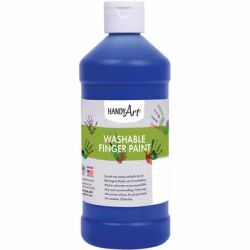 Our high quality water based, non-toxic finger paints offer washable fun for kids of all ages. Washes out of most clothing. 16 oz.